Gorgeous Unit with Fresh Paint, Brand New Carpet, Granite Counters, Stainless Steel Appliances and ALL New Windows to be Installed Prior to Closing in Prestigious White Eagle Golf Course Overlooking 14th Green with a Panoramic View of Course. Home Features 2 Bedrooms, Loft and 2.5 Bathrooms. Bright and Spacious Living Room with Soaring Cathedral Ceilings, Formal Dining Area with Sliding Door to Oversized Deck. Kitchen with Fresh Look Boasts Eating Area Table Space and Large Pantry. Master Bedroom Suite with Luxury Bath and Amazing Custom Closet. Generous Size Secondary Bedroom. Finished Basement with Family Room and Corner Fireplace, Laundry Room and Loads of Storage. 2 Car Attached Garage! White Eagle Club Amenities. 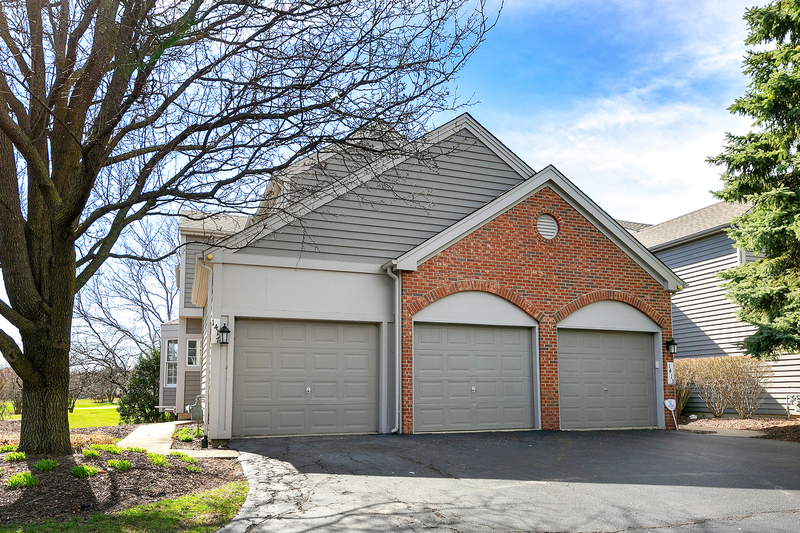 Close to Shopping, Dining and Highly Acclaimed District 204 Schools. See it Before it&apos;s GONE!